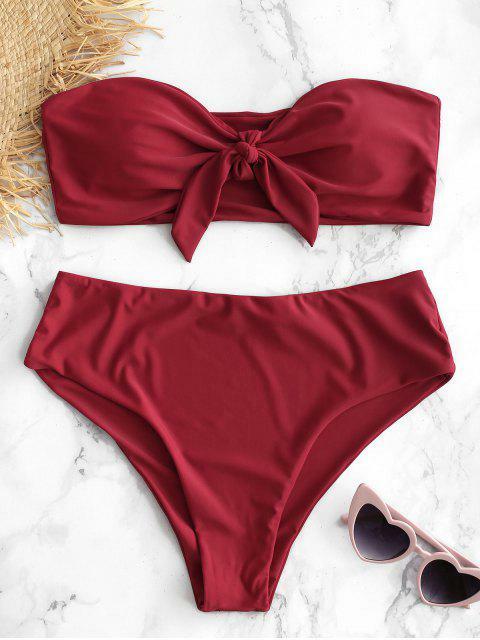 [20% OFF] 2019 Knotted Bandeau Bikini Set In RED WINE | ZAFUL ..
Love this suit! Great material. The piece in the middle of the top is removable. The bottoms fit very well! Love the color. Be the hit of the beach in this cute bikini. 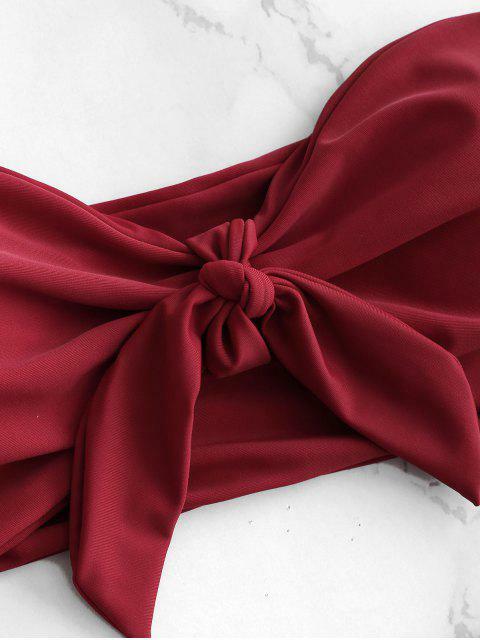 With a sweet knot in the front which can be adjusted for comfortable wearing, the top features strapless design to show your collar and shoulders, and padded cups to give full support. Matching briefs in high waist design to give adequate coverage, while the high cut leg openings to reveal more of legs.